All the world of learning, from the nursery to the university is vividly represented in this entertaining and broad ranging anthology whch draws on a thousand years of English literature and letters to offer portraits of teachers and their pupils through the ages. 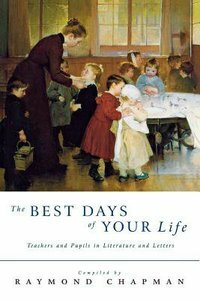 About "The Best Days of Your Life"
Raymond Chapman is the author of Firmly I Believe:an Oxford Movement reader in the same series, and several bestselling volumes on prayer including Leading Intercessions and The Intercessor's Guide. He is a retired Professor of English and a priest in London.